The use of diesel generators as a common or standby power supply is one of the most convenient power solutions. But are you particularly concerned about the price of these basic configuration? Blindly cheap to buy, waiting for you may be used when all the way toss. Buy diesel generators must first understand the following configuration, or you accidentally cheated! There are some businesses to double the phone as a new machine sold to customers, there will be refurbished diesel engine coupled with a new generator and control cabinet, so that the general non-professional users simply can not tell whether the new machine or the old machine, which A little need to understand clearly. Not honest business will KVA as KW exaggerated power, sold to customers. In fact KVA is apparent power, KW is the effective power, the relationship between them is IKVA = 0.8KW. Import units generally use KVA that power units, and domestic power equipment are generally used KW said, so the accounting power should be KVA 8 fold converted into KW. Rated power and standby power can not be analogous because they are not the same “power”, in fact, the standby power = 1.1x long line power. Moreover, the standby power can only be used for 12 hours in continuous operation for 1 hour. Many diesel generators will be diesel engine power and generator power configured as large, in order to reduce costs. 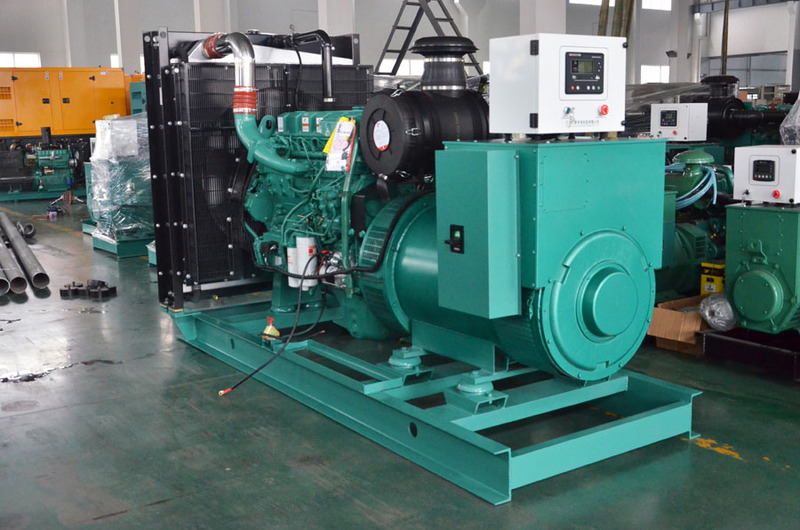 In fact, the industry generally provides diesel power ≥ 10% of the generator power, because there are mechanical losses. More harsh, and the diesel engine horsepower as a kilowatted false alarm to the user, and with less than the generator power of the diesel engine to configure the unit, commonly known as: small horses carts, as well as unit life, maintenance, High. Merchants offer to customers is often only about origin, do not speak specific brands, in fact, the error inside is still very large. Such as Weifang diesel engine does not mean Weichai, Shanghai diesel does not represent the firewood, which the price difference between the great. Talk about the diesel engine and generator brand grade, control system configuration, talk about after-sales service, blindly talk about the price and delivery time. Some will also be non-power station special oil machine, such as: marine diesel engine, vehicle diesel engine for generating units. So that the unit’s end product – electrical quality (voltage and frequency) can not be guaranteed.